Should We Boycott Chinas 2008 Beijing Olympic Games? With showbiz causes such as Tibet to push, protesters will make appeasing China a political no-no. The pressure will also go on torch-bearers such as pediatrician Fiona Stanley and humanitarian Gillian Hicks to pull out from the Canberra leg – whether in support of democracy, Tibet, the Falun Gong, Darfur or so many other casualties of China’s autocrats. Through 20 countries this torch will run, and each will have this debate. China will come under a scrutiny it’s never had before, and not before time. What a marvellously subversive idea it’s turned out to be, after all, giving the Games to Beijing. Let’s make the very most of it. Become a Human Rights Defender today and support Amnesty International Australia with a regular monthly donation. Help to defend human rights in China and around the world. The Olympics serve not only as an arena where the best athletes in the world compete, but also as a place where international politics collide. As much as the IOC likes to deny it, there’s a long history of politics at the Olympic games: from Nazi Appeasement in 1936 to Cold War boycotts in 1980/1984, the famous Black Power protests in 1968 and Midnight Oils “Sorry” t-shirts in the 2000 Sydney Olympics closing ceremony. The Australian Olympic Committee does not support a boycott of the Beijing Games because of concerns about human rights in China, committee president John Coates said Monday. Deadly violence in Tibet has raised some calls to boycott the sporting showcase. But Coates said Australia agreed with the International Olympic Committee (IOC) policy that boycotting the event would only hurt the athletes participating. International Olympic Committee President Jacques Rogge poured cold water Saturday on calls for a boycott of the Summer Games in Beijing over China’s crackdown in Tibet, saying it would only hurt athletes. “The International Olympic Committee has consistently resisted calls for a boycott of the Olympic games,” Rogge said. He declined to comment further on Tibet during a brief news conference. But “a boycott would be the wrong way because that will cut lines of communication,” he added. On a personal level, I’m against a boycott of the Olympics. To me, the event is a celebration of individual achievement and the global village – a chance for young athletes to come together and compete against the best that the world has to offer. For many, it’s the only chance they’ve got. Politics is the ever-shifting backdrop. Jesse Owens’ gold medal in the 1936 Olympics is all the more memorable because he won it in Nazi Germany. For business, a boycott would be destructive and hypocritical. Many companies are already tripping over each other to woo China’s 1.3 billion consumers. They are engaged in joint ventures that have them manufacturing equipment, selling services and otherwise actively doing business within the country. They rely on imports from China or may be exporting to there, too. When the International Olympic Committee assigned the 2008 summer Olympic Games to Beijing on 13 July 2001, the Chinese police were intensifying a crackdown on subversive elements, including Internet users and journalists. Six years later, nothing has changed. But despite the absence of any significant progress in free speech and human rights in China, the IOC’s members continue to turn a deaf ear to repeated appeals from international organisations that condemn the scale of the repression. From the outset, Reporters Without Borders has been opposed to holding the Olympic Games to Beijing. The Australia Tibet Council says the International Olympic Committee must make China accountable for what it describes as grave violations of human rights in Tibet. The council’s executive officer Paul Bourke says China has not honoured the human rights commitments that it made in its bid for this year’s Beijing Olympics. “When the Olympics were awarded to China, they gave certain guarantees about improvements in human rights and media freedom,” he said. “I would agree in that the best option for those athletes with moral objections to China’s actions would be to boycott. That being said the image of the Black power salutes of Tommie Smith and John Carlos on the podium at the 1968 Mexico Olympics is very powerful, got a lot of media attention and drew attention to the issue they were trying to get across. It could be argued that if a full boycott does not happen, then the message of individual athletes would gain greater media attention if they protested at the games, rather than failing to attend. The Chinese crackdown in Tibet has sparked a call from Democrats Senator Andrew Bartlett for Australian athletes to boycott the Beijing Olympics. Senator Bartlett says awarding the Olympics to China was meant to encourage it to improve its human rights record but he says that hope has been well and truly dashed. Senator Bartlett says the time for hoping China improves its record on human rights is over. “People shouldn’t kid themselves,” he said. Just over seven decades ago, thousands of athletes from all over the globe were preparing to compete in the most controversial sporting event of modern times – the 1936 Berlin Olympics. They were determined to show that good sportsmanship would triumph over tyranny and conflict. In their naivety, the competitors thought that the lofty ideals of the “Olympic spirit” would cause Hitler’s three-year-old regime to embrace the virtues of peace, non-discrimination and freedom of expression. How wrong they were. As everybody now knows, the Olympics gave the Nazis an enormous propaganda coup. Despite the four gold medals of Jesse Owens, the Germans were able to hoodwink the world into believing that they were as civilised a nation as any other. The Olympian flag had been used to blinker the world to the brutal excesses of a hateful regime. And now, history is all set to repeat itself. What do you think? Should We Boycott Chinas 2008 Beijing Olympic Games? Nice content! But in my opinion, i really don’t think that we should boycott China Olympic Games.Because this will give a tremendous effect on athletes that put out so many efforts on participating this Olympic games. The first Olympic boycott was at the 1956 Melbourne Games. Because of the Suez Crisis and Russia invading Hungary, a number of countries stayed away whilst others refused to attend the opening ceremony. Even some governments had ordered their athletes not to mix with other athletes in the Olympic Village. Then there was a near riot during the Water Polo match between Russian and Hungarian players. As a young school boy at the time, I was very concerned that the Olympic Movement was being torn apart and that the athletes were being used as a pawn in a political game. The athletes had come to the Melbourne Games under the umbrella of the Olympic Movement and did not want to be part of the political game. I remember an old saying, The pen is mightier than the sword. I wrote a letter to the organizing committee with an idea, which was to get all the athletes together for the closing ceremony and ask them to intermingle, regardless of race, colour or religion, and to walk freely around the Stadium as One Nation. And so it was done and I was awarded an Olympic medal for my idea. Will all these calls for boycotts and disruptions hurt the Chinese government and the Chinese people? You bet it will. Will the Chinese government change its policies at this late stage? No! The Chinese people are a very stubborn, but a proud nation. They have acheived so much in such a short time, much more than any country in the last 100 years. If they get hurt, they will simply close its border to the rest of the world, and so what have we have acheived. It will be the athletes, although not all, who will feel that the spirit of the Olympic Movement has been torn apart. At the Melbourne closing ceremony, some athletes walked arm in arm whilst others were waving and laughing to the crowd in the stand, conveying a message of goodwill, peace and harmony to the world. During that brief moment of time, war, nationality and politics were forgotten for they had formed the first Olympic Nation. The IOC must share most of the blame for what is happening. In the last two decades, it has been getting itself involved with world politics and with the United Nations. One day, it will get itself into a political crisis which it cannot handle. Isn’t there a young person out there in this world who can sort out this Olympic mess? It will be interesting to see how it all turns out a few months from now. It would be difficult to be a athlete who has been training their whole life for their Olympic moment and then not be allowed to compete. I happen to know several winter olympians and just getting to that level is so difficult. I’m glad you show both sides. I agree with billy.lea that a boycott wouldn’t be fair to the athletes. Why can’t the Olympics be about athletic achievements and not political mess? In a few months we’ll see which countries participate and which ones don’t. I don’t think the Olympics should be boycotted. The athletes have been training there whole lives waiting to perform in these games and I think it would be a shame to see them boycotted. Yes we should boycott, they are only athletes, they don’t have to worry about getting themselves locked up, did you know 1000 people are killed by their government each year. Athletes don’t have to worry about getting tortured for expressing their views in a peaceful way. I do not favor a boycott on these Olympics. I agree with your comment that these games are about THE ATHLETES. I also fail to see why we think the rest of the world should think the way we do. Such ethnocentric thinking has always bothered me. I would not like to have China force their beliefs on me, and so I need to respect their culture. I do not condone many practices, nor agree with much of their underlying philosophy, but I see only lose-lose if we try to impose our beliefs on such an ancient culture. Let us lead by example. And we should let the athletes lead us by their hard-working example of dedication and sportsmanship. I don’t think the Olympics should be boycotted. china deserves it. why some people want to boycott the Olympics? media distorsion! i think we should because in some areas of china the air is polluted and that could make the athletes really sick. We are doing an oral on this at school, and I am arguing “for” boycotting the games, but in all seriousness, no, we really shouldn’t. We are a country of little population and would have no direct impact against China at all, the only thing that could happen is that they might realise that we didn’t turn up and then stop Trade with us- thus devastating our economy. Although no-one agrees with what the Chinese are doing- in particular to the Tibetans- China took hold of them over years ago, and we probably should have made more of an effort before to restrict China’s influence. If we stopped Trade with China, they really wouldn’t care, they can just go and find another country to Trade with, we’d be left with a depleted economy. People say that it would be similar to the boycotting of the Moscow olympic games- and that it could work just as well, but one thing that they have to remember is, China censors everything. The only reason why the boycott worked then, was because the citizens of Russia found out about it and retaliated to their government- because they really didn’t understand just how bad their government was- but now, with China, we wouldn’t be able to rely on the citizens. They are constantly censored, and would just be completely ignorant to the entire boycott. If America and the UK were also to boycott- then yes, maybe then it might have more of an impact, but they don’t intend to, and so it’d be the equivalent of throwing half a blunted butter-knife against an elephant- it might be noticed (it probably won’t be), but overall, it would do very little in gaining the attention that it required to help free Tibet. Dear Mr John Ian Wing. I read your article with great interest and would be like to speak with yourself if possible. I have left a message at your web address for you to contact me. Born into a nomadic Tibetan family in 1985, Apo Gaga was 7 years old when he was proclaimed the 17th Karmapa: the latest reincarnation of the head of the Kagyu school of Tibetan Buddhism. That made the child the religion’s third highest leader, after the Dalai and Panchen Lamas. He soon began a rigorous training program. Then, at the age of 14, after the Karmapa started to find Chinese control suffocating, he made a daring escape by helicopter and horseback to Dharamsala, India, seat of the Tibetan government in exile. There he’s continued his training in earnest. Given the Dalai Lama’s age, he’s just 73, the length of time it will take to name a successor and the disappearance of the Panchen Lama in 1995 (China was anxious to control the selection of his reincarnation), many assume the young Karmapa could soon become Tibetan Buddhism’s most-senior figure. On the eve of his 23rd birthday, the monk spoke to NEWSWEEK’s Sudip Mazumdar about his recent trip to America, the global pro-Tibet protests and boycotting the upcoming Beijing Olympics. How do you see calls to boycott the Beijing Olympics? China is a big country and does not belong only to the Communist Party. It belongs to the Chinese brothers and sisters. The world needs to give them more chances and opportunities to show their growth and express their views. The Olympics are such a chance. I am not for the boycott, and His Holiness the Dalai Lama is also [against of boycotting the games]. You see sir, instead of boycotting the Games of the 29 th Olympiad, we must support the BOGOC to have a more peaceful Summer Games that will create peace & harmony throughout the world…. Don’t boycott the Olympics because it is against Olympism, which is a collaboration of mind, body and will, reaching out to the young generation through school and education and sport. The lead up to these Olympics is proving that their allocation Beijing this time was a grave mistake. The Chinese government continues to demonstrate that it is led by tyrants and liars and hasn’t got a skerrick of a clue about the meaning of the words “free” and “rights”. Very few of the undertakings given to secure the Olympics have been honoured (other than to get the facilities in place on time). 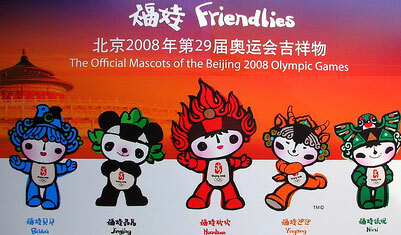 There are no advances in human rights in China as a result of these Olympics, rather the opposite with daily reports of ordinary Chinese being hounded from their homes and businesses by overzealous authorities wishing to display a sanitised view of Beijing (in spite of the heavily denied pollution – aren’t the measures to remove that for the time being absolutely farcical). While the Olympics should go ahead, the Beijing games are sadly flawed in all sorts of ways and I won’t be giving China the pleasure of my viewing company for the next few weeks. SBS will lose this viewer while Olympic coverage is broadcast (and 7 doesn’t feature in my plans either). Even though the current government has much to learn about human rights, they are probably a huge improvement in comparison to the regime of MaoTseDung. In many respects the chinese community of today is also as free as many western communities. I live in Norway, a scandinavian country. Even though we have so called political freedom, our freedom to conduct our lives in a mannar we want have steadily been decreased by stedily greater degrees of restriction on the everyday practical plane. In may country you cannot diverge much from a very strict normality scheme without being scrutiized by social workers, psychologists, special police departments, child protective agencies, and other so-called “social helpers”.